Easily reduced to 25 speaking roles, see "Casting" tab below for full instructions. Check out the "Production Notes" in the "Script Sample" below for full details of "The Amazing Adventures of Superstan". "Thanks Craig. You inspired boys to sing and get into acting. 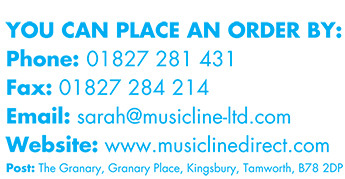 With teaching drama and organising productions people are nagging me to organise other productions that you have done. You have made my life a lot easier so well done. Merry Christmas and have a happy new year!" "We just finished this amazing production and we smashed it, thank you. Craig Hawes you literally inspired BOYS to sing SOLOS and everyone to join in a brilliant script with mind blowing and hilarious jokes. Thanks for being a script writer and carry on with the fantastic work, well done." "This is our 3rd Craig Hawes production and it has received rave reviews from the audience. The jokes are loved by children and adults alike. We can't recommend this production high enough!" "This play is simply fantastic!! Our year 6 staff and children have loved every single minute of doing this. The songs are catchy and great fun!! And the jokes are fab!! Difficult to find a better script....thank you, Craig Hawes"
"This is yet another fantastic script by Craig Hawes and the music is also wonderful. This is the fifth play by Craig that our school has performed and I have to say I haven't found another writer who produces plays of such high calibre. The scripts entertain parents and children alike. We managed to bring the curtain down after 70 minutes, with some very slick scene changes. The audience were full of praise. Having a CD with the sound effects and backing tracks and also the 'Dance It' DVD are brilliant. Well done. Waiting for the next one." 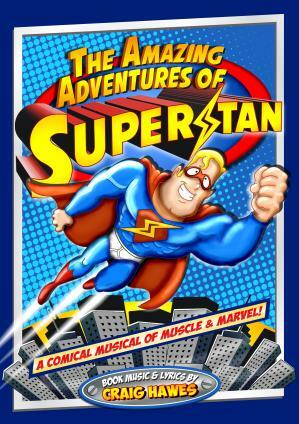 "The Amazing Adventures of Superstan is an amazing play! Me and my classmates really enjoyed it. I got the part of Stanley Marvel and everyone in the audience laughed their heads of when I did my transformation into a Superhero. It was brilliant. When we finished, confetti canons went off and when the curtains closed we were filled with glee. " "The Amazing Adventures Of Superstan is a really good play it really brings out your sense of humour, the sound effects I think are really good it is a really great way to end Year 6. The song are really jolly. Love it "
"this is amazing the whole play is so dramatic the songs are incredible and a fantastic show to our parents my best friend was superstan he was so SUPER! " "I gave this show a 5 star rating because there isn't a 6. Wonderful. We all had tremendous fun and the audience loved it. " "I loved it! All the vocals and happy singing really put a smile on our 5/6 pupils' faces. The Best Childrens Musical EVER!!!!" "We thoroughly enjoyed the end production. It took time and effort to pull the comedy timing and sound effects together but the result was a first class comedy. There were parts for a wide range of abilities. Some roles were split and many could be played by either boys or girls. We also used some role reversal with gran played by a boy wearing a frock and wig; and Stanley himself was played by a girl to shake things up a bit. The jokes came thick and fast and were enjoyed by the older children and adults, whereas the infants, who watched enjoyed the slap stick battles, larger than life characters, and whizzy sound effects. It certainly got the thumbs up at our school"
"We've just finished this show and what a brilliant one to rehearse and perform. The crazy crumblies were hilarious and three Year 5 girls playing the evil scientists alongside a boy in Year 8 worked a treat. Loads of props to make but the backdrops were fabulous in creating different scenes. Interval recommended after scene 3 as it's a long show...but possibly our best yet!" Antonia Robinson , Yateley Manor School, Yateley! "I have to say this was an excellent production. Full of fun and puns and jokes, it really was a hit. In our production, Curly and Wurly were played by girls and they were both amazing - so nice that the major comedic roles went to girls this time. Really fabulous show, thank you so much! :)"
"It was really funny! As the audience watched, they couldn't stop laughing. Everyone enjoyed it and was talking about it way after the show!" "Very funny script and songs." "Our pupils LOVED the fun and exciting comic-book theme. Such a clever story and hysterically funny from start to end. Everyone had their moment to shine and performed with enthusiasm thanks to the hilarious script and catchy songs. The real Superhero has to be Craig Hawes for writing another epic show which our pupils and their parents will never forget!" "Wow, what can I say? Simply the best children's musical I've produced. It's full of non-stop lively fun and action, every song is fantastic (the teachers were singing and dancing in the staffroom), the script is pure genius and had the children and adults in stitches. Our audience loved every moment, a standing ovation each night!" "A Craig Hawes show is always a guaranteed hit at our school, but Superstan has to be his best yet! The superhero theme had every child hooked from the first read-through and they couldn't wait to rehearse! A brilliantly written script packed with hilarious jokes and slapstick and wonderfully catchy songs that children learn quickly and love to sing. The audience response was overwhelming, our parents were thrilled, so thanks for a "Super" show!"